It is the last Friday of 2012 and I had to make sure that our medical/optical allowance did not go to waste. 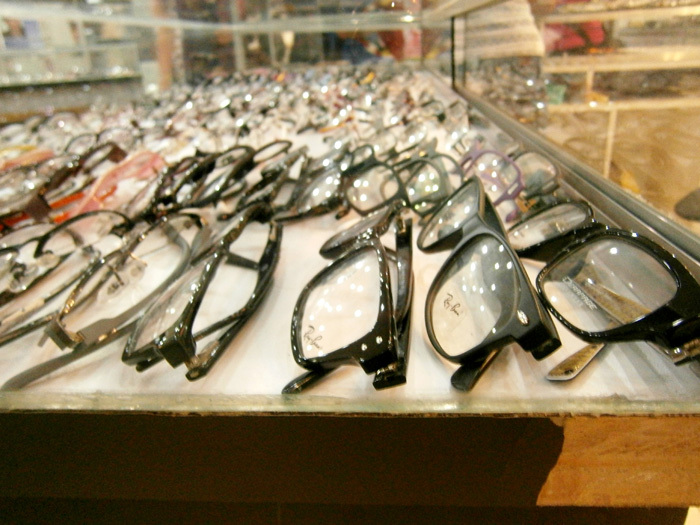 Mon and I met past lunch time in Farmers Cubao to get our glasses done in Spectrum Eye Express, found at the Ground Floor of the mall. We originally planned having them done in Paterno St., Quiapo, Manila but as we did not have enough time to got there, out best bet was Cubao. Mon has been complaining over his astigmatism for years and we only had time today to finally have his eyes properly checked and corrected. 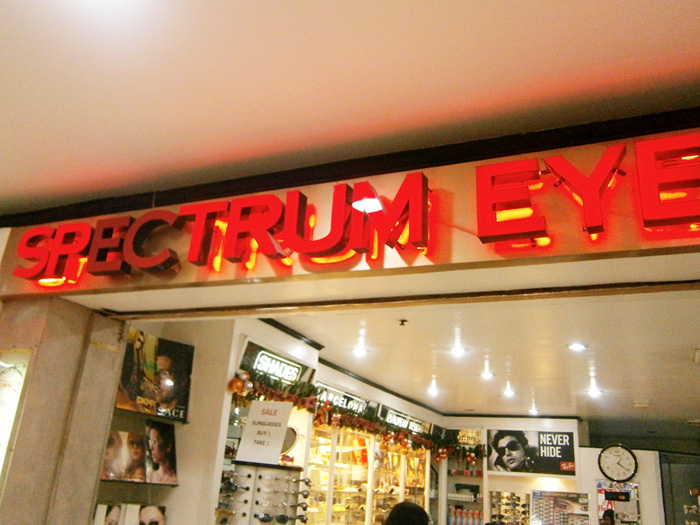 Out of all the shops there, I knew right away that Spectrum Eye Express has the lowest price on their services. A normal lens with frame starts at Php 995, and additional Php 1,000 for multicoated ones. 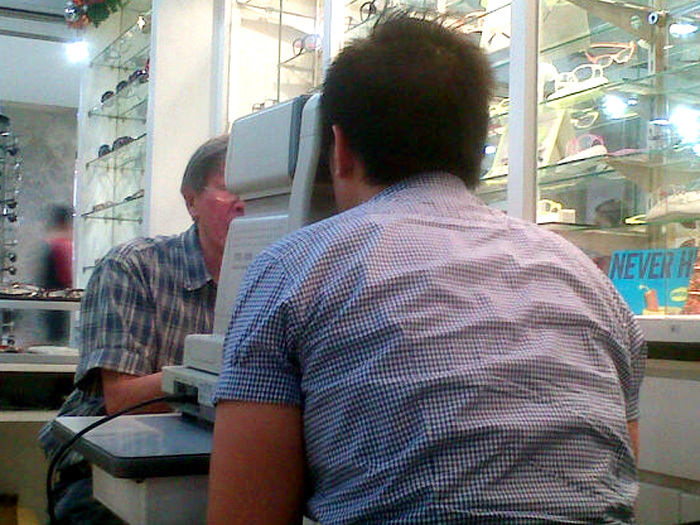 I was the first to be checked and the optometrist checked my glasses as well. To my surprise, the grade of my right eye has increased. 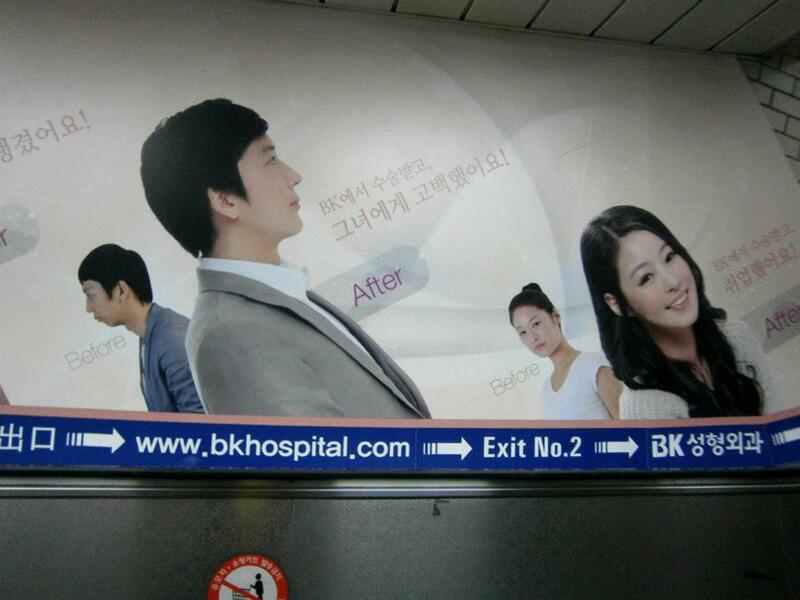 It was just checked last month during our Annual Physical Examination in the office and it was deemed okay. Mon was checked next and it took him a shorter time. We chose the same style of frames (and I got my old frames back), except the color. For him, the dark red ones, while I got the dark blue pair. 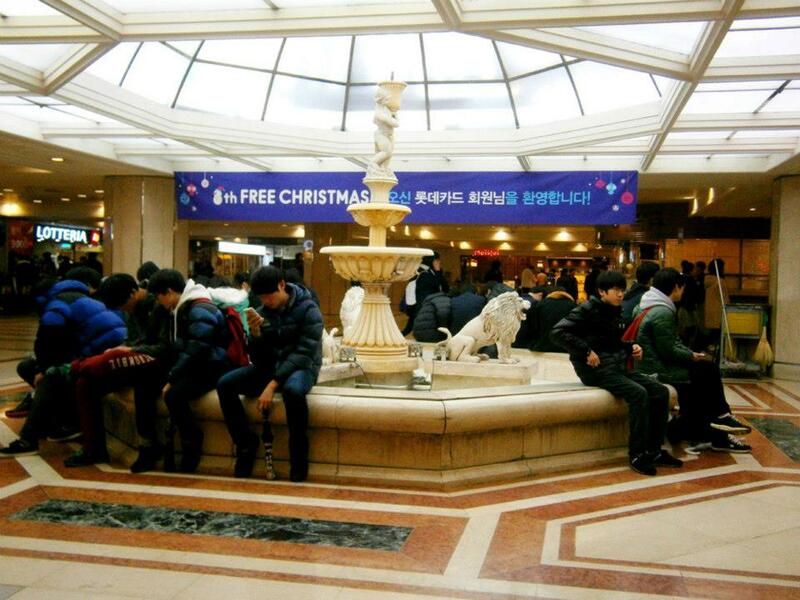 It will took two more hours for them to work on the glasses, though, she we’ll just come back tomorrow. 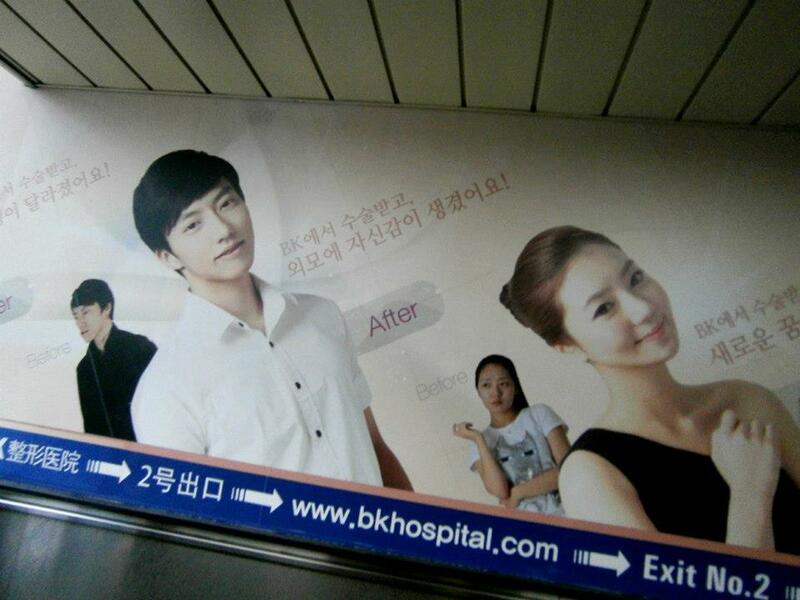 We then went to the same Dunkin’ Donuts café where I hoped to bring him months back. We only had 30 minutes to eat our snack and Mon even bought three pieces of doughnuts to bring back to our office. The bunwich was as good as ever but I only have one gripe. We ordered two 12oz coffees and they gave out four sachets of sugar and two sachets of creamer. I asked Mon if he could ask for two more sachets of creamer but I was infuriated to hear that they charge Php 1.50 each. What the hell was that about? I understand that some people might be too excessive with their sugar and creamer cosnumption, but can they just at least serve two sugars and two creamers as a standard serving? That was a rip-off and it was ridiculous to put just a sachet of creamer n a 120z cup, unless you like your coffees black (then you don’t even need a creamer at all). 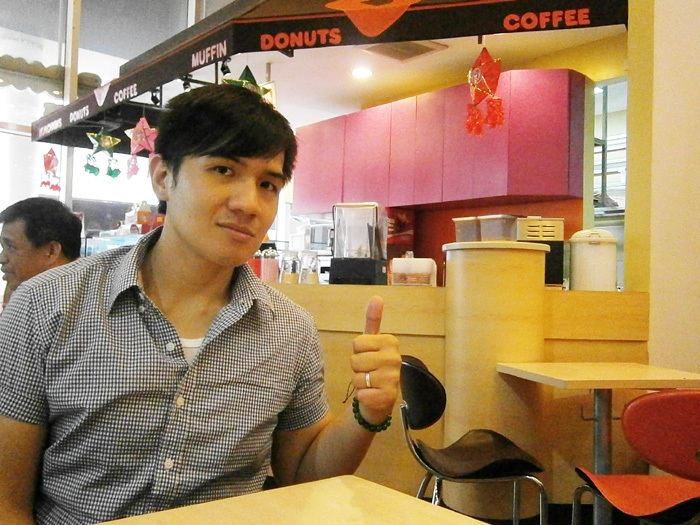 I was so disappointed with Dunkin’ Donuts. Yuck. 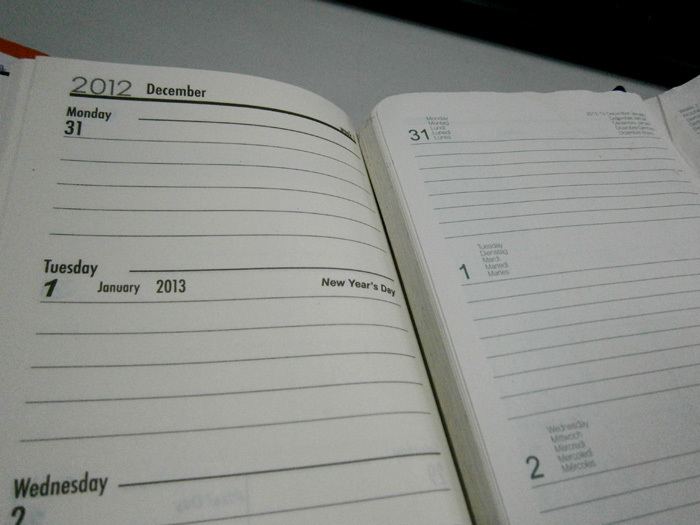 Anyway, before our short time eating ended, I had to rush to National Bookstore a floor above to buy a 2013 planner. Since the end of 2010, I have refused to join the Starbucks planner bandwagon and started using a vitnage Mulberry wallet that I bought from Ebay as a makeshift planner. 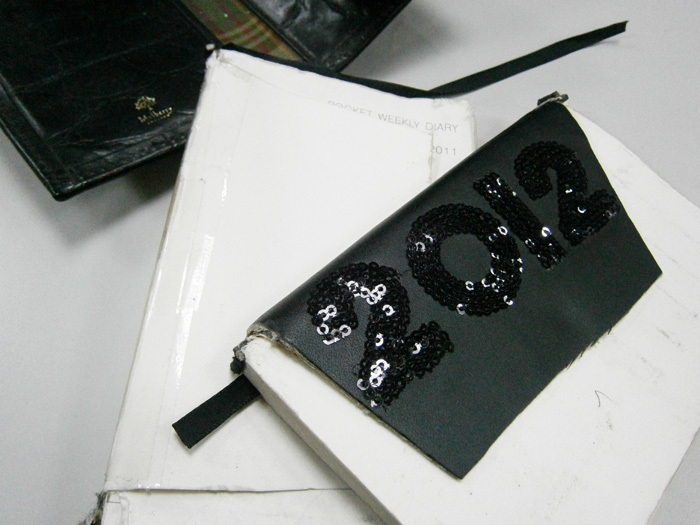 I still have the 2011 planner with me and I will soon be removing the 2012 one and replace it with the 2013. However, I noticed that they did not have the same ‘style’ of planner that I’ve been using as a filler. I could be wrong, though. Last week, when I bought Mon’s Christmas card, I’ve seen a 2012 version of the same filler. 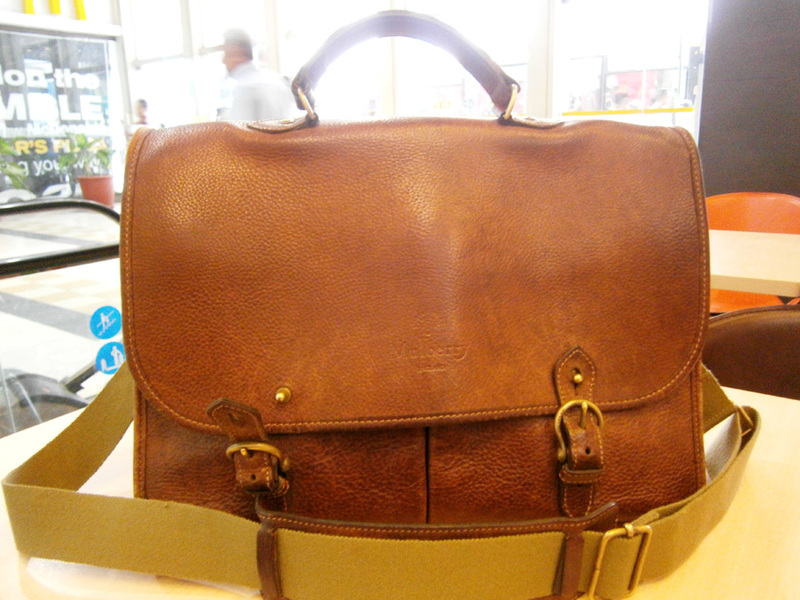 I’m now kicking myself on why I did not buy one when I already saw it. 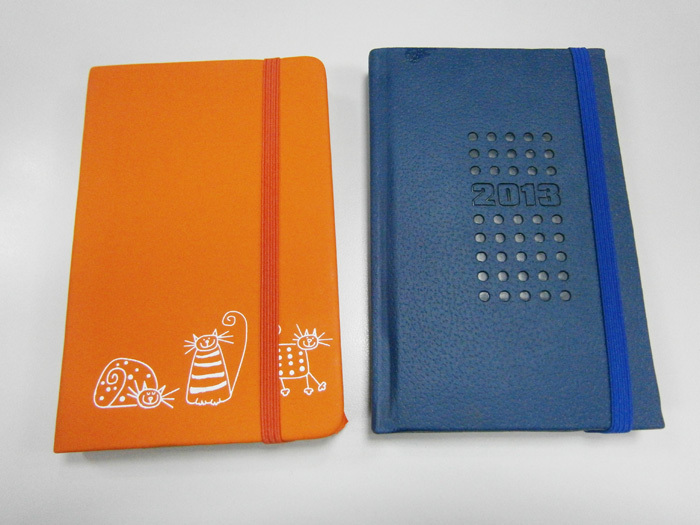 In all fairness to the 2013 planner, it is thinner and less bulky but it will be definitely more tricky to work on. 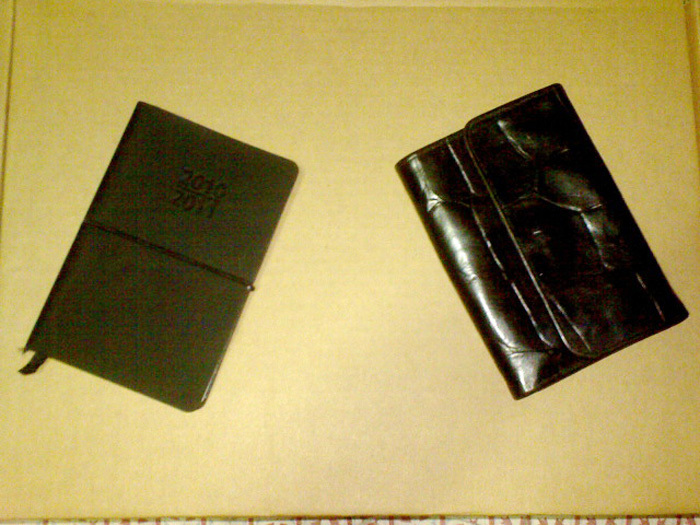 As you can see from the previous pictures, I ‘murder’ the planners as they have sturdy cardboard first pages. I still don’t know how can that be achieved with the 2013 one as it does not have the same cardboard material. 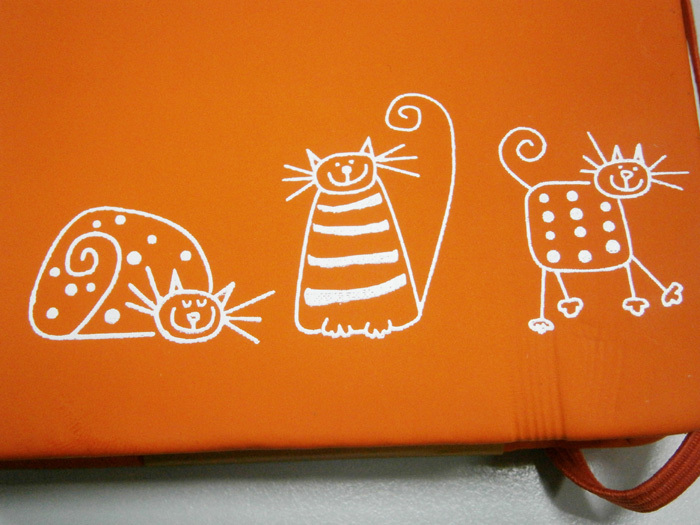 I also bought this very nice-looking orange notebook, with sketches of three smiling cats. =D I still don’t have an exact use for it, but maybe it can be my ‘idea notebook’. I look forward to being more organized (than the usual) and inspired this 2013, and hopefully my new paper purchases can give me a headstart on planning for the year ahead. Best place to get a quick bite! I am still under medication until Saturday morning, and as much as I wanted to procrastinate, I should definitely take my meds on time. I now wake up very early for 10:00 AM, followed by 2:00 PM, then 6:00 PM, and finally by 1:00 AM. But for a week, I had to eat something before 2:00 PM and it was more of a challenge because by that time, I should be on my way to the office. 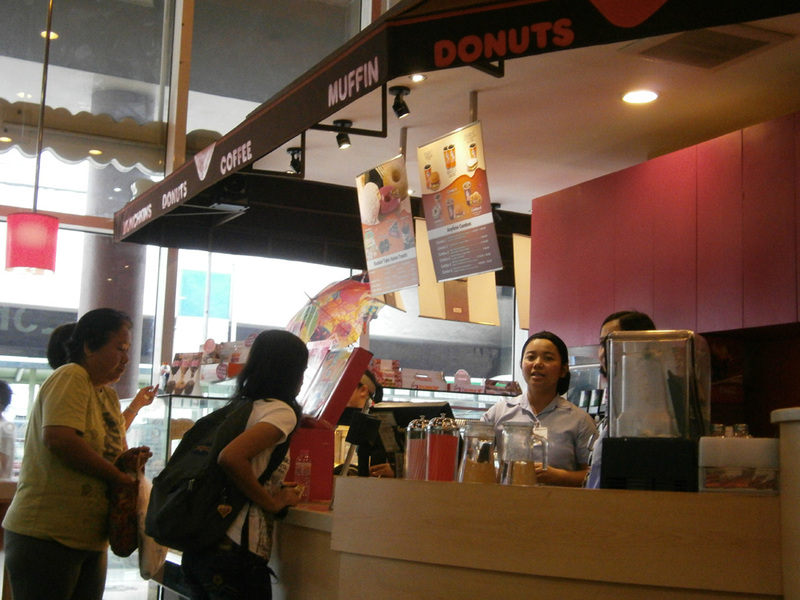 The very friendly staffHowever, I remember that very cozy-looking Dunkin’ Donuts in Farmers Plaza and decided that I’d go here for the next five days for a quick snack just to try the sandwiches in their menu. Would you be happy to get off the bus in this weather?